Mike Wallace, Partner, BrownFlynn, has worked in the environmental field for 25-years. His career started at ERM where he focused on environmental due diligence for large M&A projects. While with ERM in Australia (1997/98) Mike began his work in the sustainability field, through work on social and environmental impact assessments. Over the years he has advised a range of non-profit clients, such as: Global Footprint Network, ICLEI, and the Center for Responsible Public Investment. He served as the regional representative for Trucost as it was starting up its North American operations and worked at the Global Reporting Initiative (GRI) and re-established GRI’s North American presence. 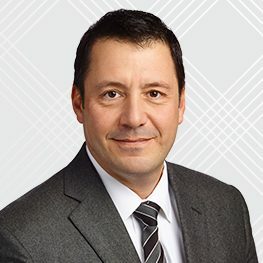 He is a Partner at BrownFlynn, an ERM Group company and leads strategic partnership and projects, such as the current relationship with the World Business Council for Sustainable Development (WBCSD) and the Social & Human Capital Coalition, where Mike serves as the Interim Executive Director. He is on the advisory council of the International Integrated Reporting Council’s (IIRC) North American operations, and a strategic advisor to the Center for Safety & Health Sustainability (CSHS). He also Chairs the WBCSD’s ESG Ratings & Rankings working group.